today i talk to felix scheinberger, a great german book illustrator. 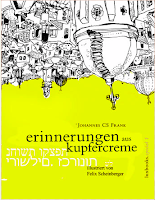 i came across his work via the büchergilde gutenberg (engl. gutenberg book guild): i had forgotten to order a book. thus they sent me a book by their one. 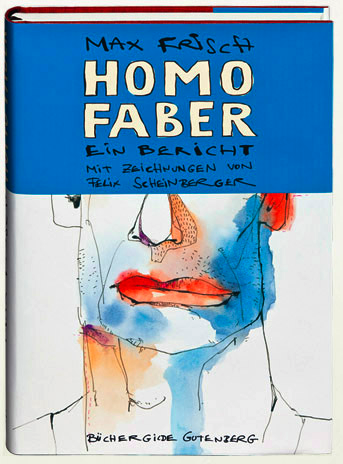 it was the book homo faber illustrated by felix - and the best they could do. at the moment i live in hamburg. but during the last two years i’ve been traveling a lot. 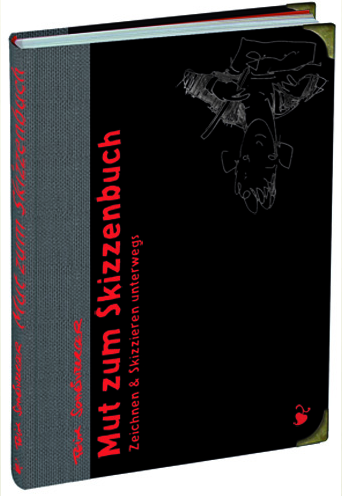 for two semesters i tought at the bezalel academy of arts and design in israel and i worked a lot on my book mut zum skizzenbuch (engl. 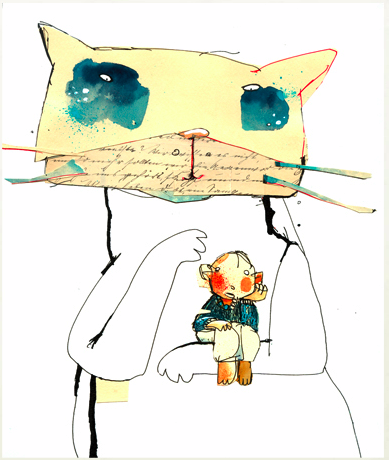 : the courage for a sketches’ book). that included a lot of traveling. but being on the road recently became a part of me. i love drawing outside and working „on site“ even represents a main component of my work. 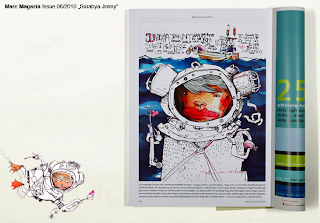 how did you get into (book) illustration? i always wanted to be illustrator. well, not already since i was able to think about it (as a child i didn’t know that book illustration does exist, i wanted to be archeologist, musician, adventurer or inventor). but in fact since i knew that drawing pictures is a kind of profession, i wanted to do that. 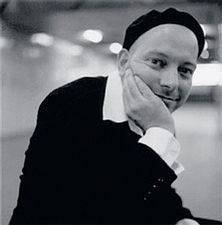 i’m interested in almost everything, also in matters that do not belong to illustration or design. i read for example everything that i get a hold on, from scientific articles and recipes to articles about politics of the day. a huge part of my inspiration results from this. i think an artist has to have a wide horizon. 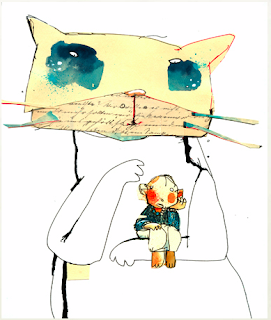 how do you go to an (book) illustration approach? first i just read the book, then i read it again with a marker pen for comments. during this process of thinking and commenting i work my own approach out. what do you love about your work special? what don´t you love? i love to start and sometimes i hate to make it to the end. books demand so much more from you than editorial jobs. please tell how you started and what the biggest challenges have been. how have you overcome them? starting wasn’t that hard for me, lucky me, i already had some jobs when i studied in hamburg. you can say i just „slipped“ in my profession. usually i come to the studio at 9:30 am. i start with coffee and checking my emails. from 10 am till 7 pm mostly i’ m working, drawing and writing, sometimes with a break having an burrito with a colleague. then, if possible, i prepare dinner, i pet my cat, i’m having nice talks and some red wine. if not possible, i have to work even longer, you cannot really foresee it as a freelancer. but i like working like that, it’s not so bad. it would be funny to have a picture of my working place, because it would be very boring to look at. The reason is that I’m extremely neat. Finishing work i shut down the laptop and put it away, i wash my brushes and i put all pencils in the drawer. you cannot see that in my drawings but i’m a very orderly person. therefore no picture, just imagine an empty desk, perhaps with some notes on the wall and a pile of books. 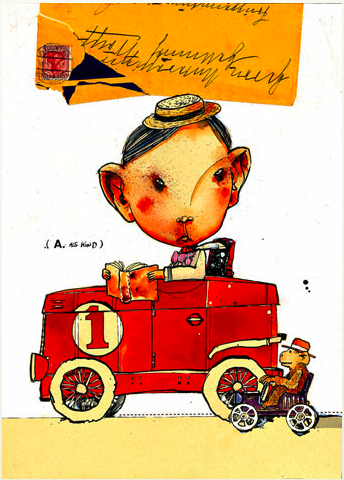 what makes a felicitous (book) illustration from your point of you? 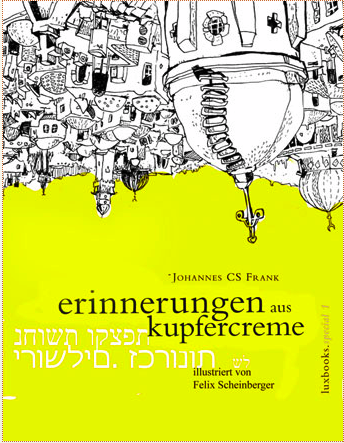 an illustration of a book shouldn’t just „copy“ what’s already said in the text. 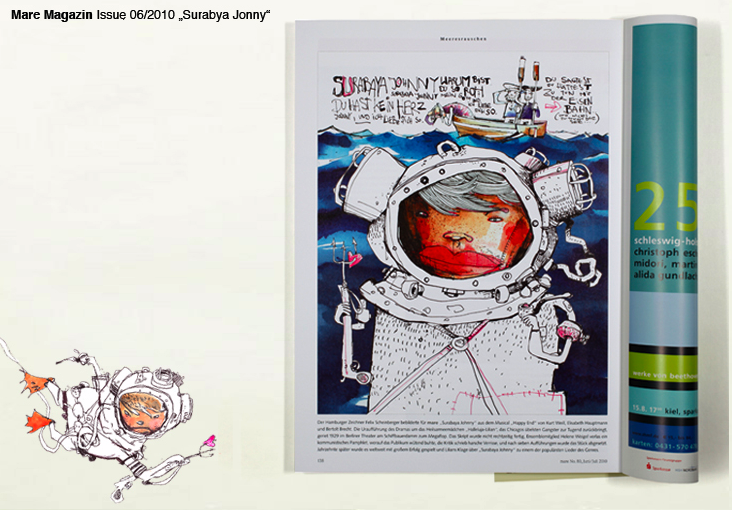 a good illustration should create a second possibility to „read“ the text and should be an artistic addition to the text. it should communicate with the text, but at the same time it is important that it stands for itself. a good illustration of a book must „behave“ a bit like in a good relationship: it must leave space to live for the text and also have enough space for itself. thank you, felix, for that amusing talk and thanks to heide for the great translation.